Norwich extended their advantage at the top of the Sky Bet Championship to seven points with a comprehensive 4-0 win over managerless QPR as Leeds were beaten at Birmingham. The Canaries, who have now won eight successive league games, were three goals up at the break after a dominant first half in which Emiliano Buendia, Marco Stiepermann and Teemu Pukki found the net. Buendia was sent off for a poor foul on Josh Scowen after 71 minutes, but Pukki struck his 26th goal of the season to make it four. Rangers, who sacked Steve McClaren this week, have now won just one of their last 16 Championship games and finished the day just five points outside the relegation zone. Leeds started the day in second but finished it third after defeat at St Andrew's. The Blues' top scorer Che Adams had gone six games without a goal but ended that run on the half-hour mark to give Birmingham, who had lost five in a row, a first win since their nine-point deduction. Sheffield United leapfrogged Leeds back into the top two with a 1-0 win at Preston. David McGoldrick scored the only goal in the 31st minute at Deepdale - where the hosts had not lost in seven. 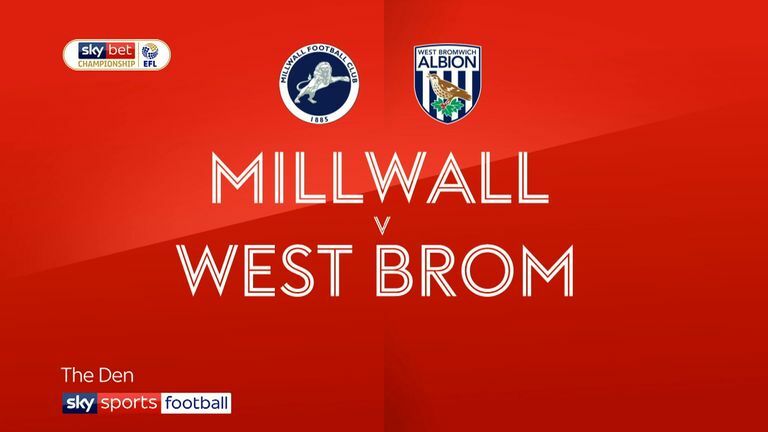 West Brom's automatic promotion hopes were dealt a serious blow with a 2-0 defeat at Millwall. The Baggies had won three in a row but were behind when Ryan Tunnicliffe fired low under the goalkeeper. 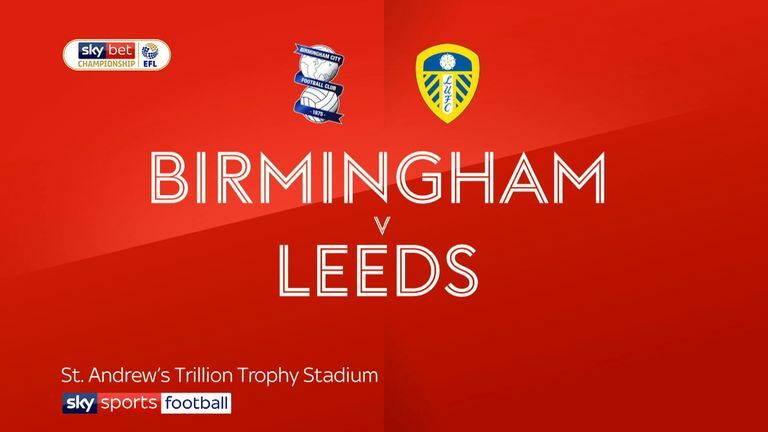 Highlights of the Sky Bet Championship match between Birmingham and Leeds. Jay Rodriguez's penalty just after the hour mark was put wide and the Baggies paid the price seven minutes later as Ahmed Hegazi deflected Ben Thompson's cross into his own goal. Hegazi was dismissed 10 minutes from time. Bristol City remain in the play-off places, despite Anthony Pilkington's added-time equaliser for Wigan. A stunning long-range strike from Reece James flew into the top corner to stun the hosts after 37 minutes. But Matty Taylor popped up at the far post after 65 minutes to equalise with a header and fellow substitute Kasey Palmer's first-time effort put the hosts ahead before Pilkington struck. Aston Villa scored twice in added time to make it six wins in a row and move up to fifth with a 3-1 victory at Sheffield Wednesday. 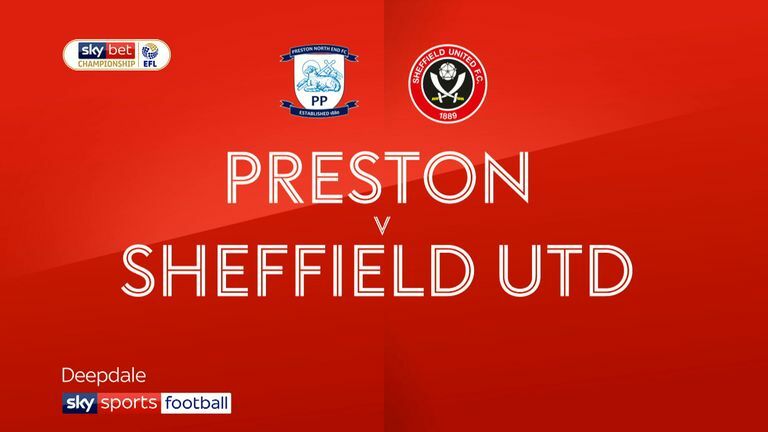 Highlights of the Championship match between Preston and Sheffield United. Wednesday, unbeaten in 11 games since Steve Bruce took charge, were ahead after just seven minutes as Gary Hooper converted George Boyd's cross before John McGinn's fourth goal in his last four levelled the scores. The Owls missed the chance to go ahead again from the spot as Steven Fletcher's penalty was saved by Jed Steer after 57 minutes. Albert Adomah and Tammy Abraham's added-time strikes made the Owls pay the price. Swansea piled the pressure on under-fire Middlesbrough manager Tony Pulis with a 3-1 win at the Liberty Stadium. A sixth successive defeat continued a slide which has seen Boro slip out of the play-off places. The Swans hit two quick-fire first-half goals through Matt Grimes' penalty and Wayne Routledge's low strike. Connor Roberts sealed the victory 19 minutes from time before George Saville's consolation. Highlights of the Sky Bet Championship match between Millwall and West Brom. Derby's play-off hopes were hit as Brentford equalised three times in a 3-3 draw at Griffin Park. 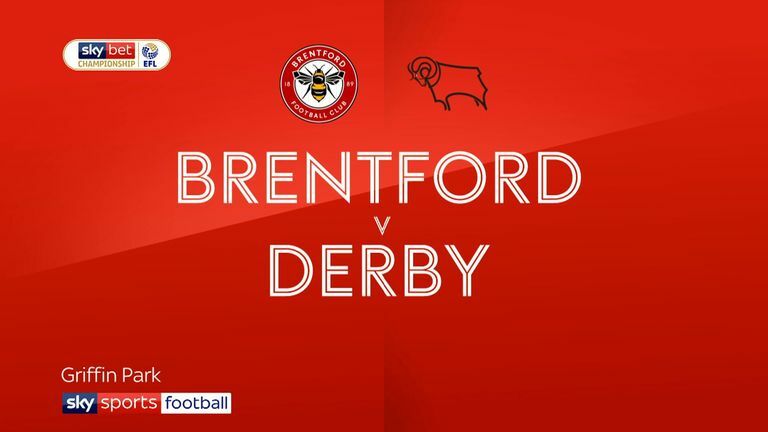 Harry Wilson, Jayden Bogle and Wilson again gave Derby the lead, but Julian Jeanvier, Neal Maupay and Said Benrahma's 82nd-minute goal hit back for Brentford, who had not scored in their previous four games. Bolton's clash with Ipswich was in doubt twice this week due to Wanderers' various off-field issues and they may have wished it had not been played. Collin Quaner's first-half double gave the rock-bottom visitors a 2-1 win to leave Wanderers eight points from safety, despite a late consolation. Highlights of the Sky Bet Championship match between Brentford and Derby County. Rotherham remain in the relegation zone but boosted their survival hopes with a 2-1 win over Nottingham Forest. Michael Smith and Michael Ihiekwe's goals, either side of Lewis Grabban's equaliser, gave the Millers victory. Hull extended their unbeaten home run to 11 matches with a 3-1 win against Reading, who are now just a point outside the bottom three. Having drawn their last four matches 0-0, the first English side to do so since Arsenal in 2008/09, Stoke beat Blackburn 1-0 thanks to Peter Etebo's first-half goal.